Also called the black-tailed jackrabbit, this hare makes its home in the southwestern North America. 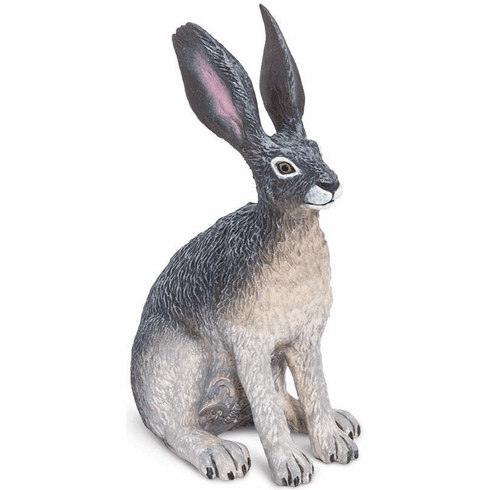 To outrun its many predators, this hare has powerful legs that allow it to reach speeds of up to 30 mph and leap over ten feet in a single bound. Approximate size in inches: 1.77 L x 1.38 W x 2.83 H.